I grew up by the ocean and feel a strong connection to the coast. Slowly making my way down the Pacific Coast helped develop my own sense for our region. I feel a strong connection to the entire coast, stretching from the Pacific Northwest down through Northern California, all the way down to Southern California. As I rode, I reconnected to different places I lived or visited in my own life: my undergraduate degree in Eugene Oregon, a summer spent interning in Portland for the Bicycle Transportation Alliance, another summer spent outside of Seattle at Hidden Valley Camp & connecting with people I worked closely with when I directed the LA County Bicycle Coalition like Jimmy Lizama. Throughout my tour, I connected with a set of leaders working on a wide variety of issues related to urban sustainability. 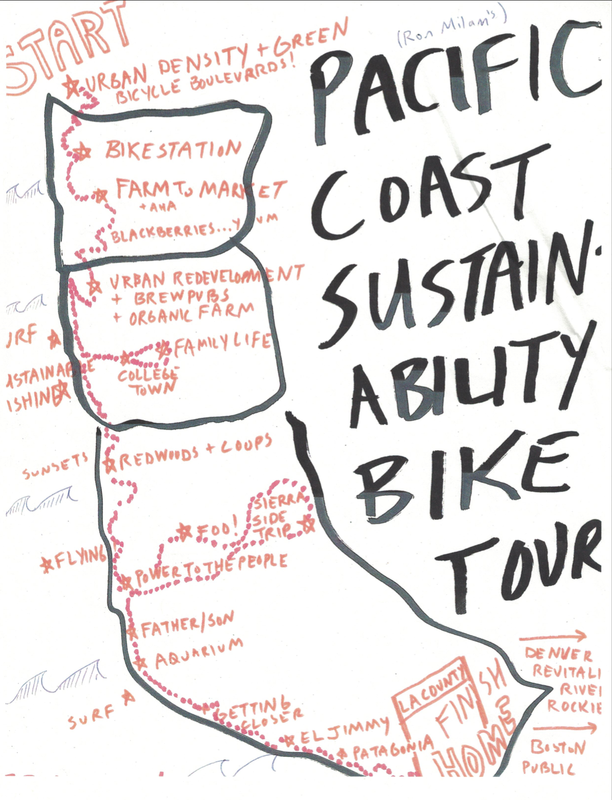 I met with folks from Smart Growth British Colombia, FutureWise and Washington Bikes in Seattle, my mentor from the BTA, Rex Burkeholder who later served on Metro in Portland, my friend Adam Zimmerman who at the time was in Coos Bay, and still at Craft3, Patagonia in Ventura, etc. I continue to develop my own leadership this way. I also called leaders I knew in Los Angeles letting them know I launched my own consulting practice. By the time I arrived, I lined up my first two clients! Those first two clients: Bikestation and Livable Places. My practice started with fundraising and has since evolved to managing collaborative change initiatives working for health, equity and sustainability. One common theme throughout: Building relationships! I also met up with several different groups of friends along the way. Some of my best friends from New York City flew out to meet me in Portland (we participated in Coro’s Leadership New York together) and we explored Portland’s growing craft beer scene, which goes hand in hand with the cities redevelopment efforts along new transit lines, which were going full force ten years after I spent the summer in Portland. I met up with other sets of friends now working on organic farms (Sauvie Island Organics & Kirsop Farm), and spent time harvesting some delicious produce, seeing it to the farmers market, and delivered to restaurants around the city. To this day, I love growing some of my families own food and will always savor the time I spent at various farms along the tour. And when not on farms, I ate plenty of blackberries growing along side of the road! Having worked as a member of the Park Slope Food Coop in Brooklyn, New York, I also visited several food coops along the Pacific Coast, supporting member driven enterprises working to bring quality, healthy food to various communities. This photo is from one in the San Juan Islands – I liked how a few parking spaces were converted to gardens and bike racks! I’d sure like to see more of this in Los Angeles. I enjoyed long days of solitude riding down trails, through forests. I would ride anywhere from 40 to 110 miles, and would often stop to appreciate the natural beauty around me. There were several rails-to-trails corridors that I especially enjoyed, long periods of quiet and beauty. My longest ride took me from Portland, Oregon, to the Oregon Coast at the mouth of the Columbia River. I camped at 20+ campgrounds all down the coast. I carried everything on my bike: a small tent, sleeping pad, water, bathing suit, and a change of clothes, shedding numerous items as I rode south, realizing I didn’t need them and that less weight made for easier riding! (like the mileage tracker on my handlebars…that wound up being a distraction so I got rid of it). Time took on a very different dimension during this tour. I visited the place that influenced my own interest in cities, sustainability and working to making communities more bicycle friendly, Eugene, Oregon. I dropped by a placed I volunteered during college, the Center for Appropriate Transport, and reconnected with its founder, letting him know that he helped inspire me, and that with that inspiration, I returned to Los Angeles to build it’s own bike culture. I took a detour in Central Oregon and rode three days east, along the McKenzie River and up over a 5,000+ foot mountain pass, landing in Bend, Oregon to visit my friend Chuck Arnold and his family. Spending a week with him and his family gave me a sneak peak for the happiness that one experiences with family and fatherhood. Now that I’m a father, I’m loving spending time with my own two boys! Speaking of family, I connected with my own family along the ride. My father met me in Santa Cruz and we visited Ford Ord, a place he spent time at before I was born. We kayaked Moss landing and shared stories. I also connected with my distant cousin Lane Wallace, and before I knew it, she asked if I wanted to try flying her plane after we had lifted off, with the bay area below. Adventure! I kept a journal and wrote in it everyday: drawings, reflections, quotes, maps, charts, lessons, haikus, future scenarios, etc. I kept notes from conversations I had with local leaders and from one conversation I had in Vancouver, someone suggested I check out the Funders Network for Smart Growth and Livable Communities (TFN). Sure enough, ten years later, I’m now serving as a Program Consultant for TFN and coordinating the Los Angeles Funders’ Collaborative. I still journal and find it a helpful practice to reflect on life, family and leadership. To celebrate this 10 year anniversary, I’m making several trips in honor of my tour. Earlier in the year, I visited Portland, attending the New Partners for Smart Growth Conference, and reconnected with my friend Adam. This summer, I’ll spend two weeks up in Seattle with my wife Jennie, who grew up there, and spend time with her parents and my brother David, who now lives up there. I’ll also connect with a new set of sustainability-oriented leaders. To complement my list of over 50 collaborative change initiatives in Southern California, I’m currently researching collaborative change initiatives up and down the Pacific Coast, hoping to learn from what other networks of leaders and organizations are doing to advance more equitable and livable cities, and through this, cross-pollinate these networks for continued learning and impact. I’m also cooking up a visit to Esalen with a friend of mine to expand upon the many places I’ve retreated in Southern California (see my 70+ Places to Retreat in SoCal blog post), I created the Pacific Coast version of that, and currently have 15+ Places to Retreat along the Pacific Coast (if you have any suggestions, please let me know). I look forward to facilitating retreats at these inspiring places. Earlier this year, I biked around the Palos Verdes Peninsula and enjoyed its scenic beauty. More recently, I paddle boarded in in Long Beach and in the South Bay, and later this year, I’ll head south down to San Diego for the Smart Growth California funder convening, which I’ll help out with. If you have any suggestions for people, places or organizations to connect with along the Pacific Coast, please let me know. With the Pacific Coast geography in mind, I welcome opportunities to serve collaboratives in the region as an organization development practitioner. Earlier in the year, I facilitated a community walking forum in Tucson, Arizona and really enjoyed working with a network of advocates working on related issues! 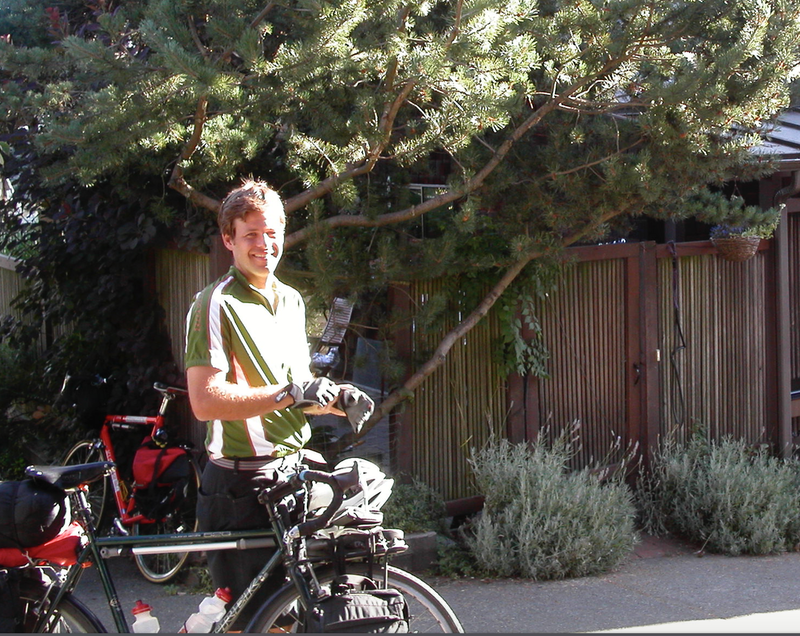 Its hard to believe that 10 years have past since my bike tour! In that time, I’ve built out my consulting practice, started a family and deepened my own capacity as a leader. Having reread the journal I kept during my journey, it also feels like yesterday, again warping my sense of time. Writing this post has brought so many positive memories back for me! The journey continues! Onwards! This entry was posted in Leadership Development, Sustainability and tagged #Nonprofit, Collaboration, Community, Leadership, Leadership Development, Organization Development, Sustainability. Bookmark the permalink.